A new-look Craft-Bamboo Racing is returning to Blancpain GT World Challenge Asia in 2019 as an official Mercedes-AMG Performance Team. The Hong Kong squad has campaigned Porsches for the last two Blancpain GT Series Asia seasons but is now switching to another major German manufacturer as part of a new long-term partnership that will also see it compete in selected Intercontinental GT Challenge Powered by Pirelli rounds and the Macau FIA GT World Cup. Craft-Bamboo has confirmed that at least two Mercedes-AMG GT3s plus its existing GT4 variant will contest Blancpain GT World Challenge Asia and GT4 Asia next season. Its driver crews will be announced at a later date. Both cars’ existing championship pedigree should mark out Craft-Bamboo as a team to watch next term. Mercedes-AMG are the championship’s most successful manufacturer in terms of total and outright wins, while the GT4 version also won 2018’s Drivers’ crown. Craft-Bamboo Racing director Darryl O’Young believes the partnership will lift the team to new heights. “It goes without saying how much motorsport means to Mercedes-AMG,” he said. “Right from the initial discussions, we knew their primary focus was to work together to win races. The global success we have seen from Mercedes-AMG teams in the past seasons has set a high bar, so we will take the trust that they have put in us to ensure we are strong both on and off the track. 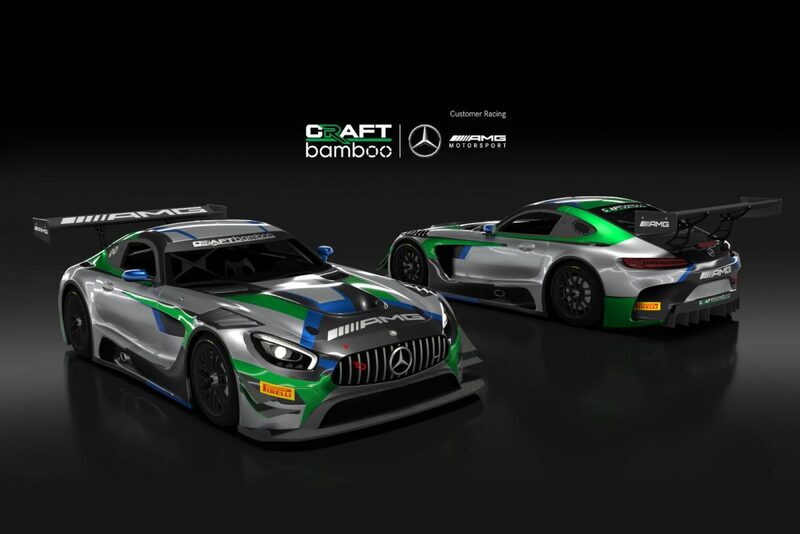 Craft-Bamboo’s chairman, Frank Yu, added: “It is with great pleasure we announce this new partnership with Mercedes-AMG to write a new chapter in Craft-Bamboo Racing’s motorsport story. Our primary focus in the coming year is to get our team to the top step. Mercedes-AMG’s Head of Customer Racing, Stefan Wendl, also welcomed Craft-Bamboo to the manufacturer’s customer stable. “We are very happy that we were able to engage Craft-Bamboo Racing as a new team of Mercedes-AMG for the upcoming motorsports season,” he said. “In 2018 Mercedes-AMG Customer Racing celebrated the most successful year ever. Numerous series titles and race wins in GT3 and GT4 categories around the globe underline the performance of our race cars and of our customer teams as well. Testing will commence in early 2019 at Sepang once Craft-Bamboo has taken delivery of its new Mercedes-AMG GT3s. Blancpain GT World Challenge Asia stages its opening round at the same Malaysian venue on April 6/7.